Restaurant brands are finding success on grocery shelves with private label products. Working with clients Hilco (Leader Sports), Delicious Brands and Visionworks we’re accustomed to seeing our work on retail shelves. Now our restaurant clients are not only branding private label products to be sold in their own stores (Which Wich Superior Sandwiches, Newk’s Eatery), we’re seeing a trend to take branded products to the grocery shelves. 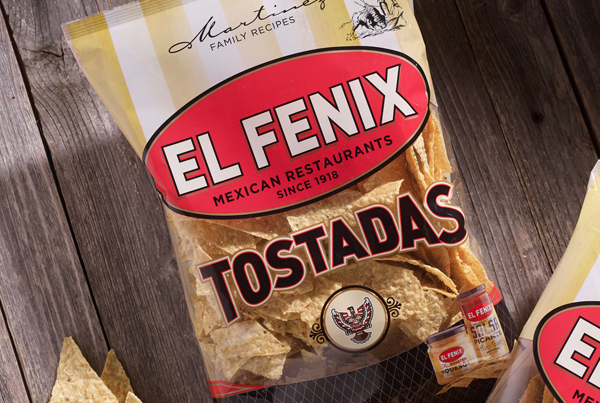 Client El Fenix Mexican Restaurants in Dallas, Texas is preparing to launch their signature Tostada Chips in grocers by third quarter. The brand has sold their salsa in Target stores and HEB stores for years. Works in progress for other clients include a 6 sku line of family sized frozen meals and a new line of luxury skincare products. Word Walls-Please stop. When is this trend going to end? 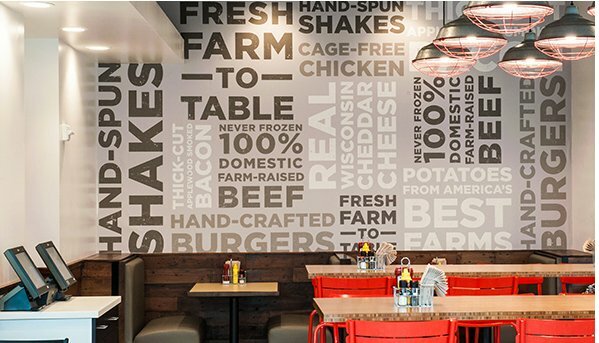 Your restaurant decor is not a power point presentation, a word cloud or a venn diagram. Quit telling your customers what you “serve” with overused, meaningless words designed to fill large walls. Please.